After more than ten years, the amyloid cascade hypothesis of Alzheimer’s disease (AD) is still at the core of new research findings. By proposing that AD starts with the accumulation of beta amyloid (Aβ) protein plaques in the brain, which may lead to the twisted tangles of the tau protein, researchers have focused on the earliest signs of cognitive impairment as a signal of the start of Aβ and tau growth. As neurons are lost in this process, an older person’s daily life is slowly affected. When patients (or their loved ones) first report daily struggles with memory or decision making, physicians often use the Clinical Dementia Rating (CDR) scale to determine the current stage of their decline. Using a five point scale (0, 0.5, 1, 2, 3), the rating assesses six different areas, memory, orientation, judgment and problem solving, community affairs, home and hobbies, and personal care, through a structured interview process. When a CDR assessment score moves from 0 to 0.5, a patient is often diagnosed with mild cognitive impairment. Previous research has estimated that patients who reach 0.5 will have a 35% probability of progressing to 1.0 over the next five years. However, in the presence of high levels of Aβ, this risk jumps to approximately 80%. Combining the CDR score and the presence of Aβ with actual hippocampal volume (HV) creates a better diagnostic algorithm to predict possible AD. Researchers using data from the Australian Imaging, Biomarkers and Lifestyle (AIBL) Flagship Study of Ageing recently published new findings following changes in cognition and HV over six years in patients with a CDR of 0.5 who were either Aβ+ or Aβ-. 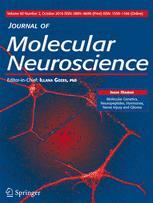 The study has been published in the Journal of Molecular Neuroscience. Specifically, the researchers, including Dr. Paul Maruff, Chief Science Officer at Cogstate, believed that older adults who were Aβ- with CDR scores of 0 or even 0.5 would show significantly less working memory decline over time than adults who were Aβ+ with CDR 0.5. Their second hypothesis was that the Aβ+ adults with CDR 0.5 would suffer a faster rate of decline over cognitively normal older adults (Aβ- and CDR 0). Finally, they predicted that any cognitive decline seen in the CDR 0.5 Aβ− group would be less than in the CDR 0.5 Aβ+ group. At baseline, all 383 participants underwent PET imaging tests to determine the presence of Aβ and the HV, as well as a CDR assessment. Divided into three groups, (CDR 0 Aβ−, CDR 0.5 Aβ−, CDR 0.5 Aβ+), they continued with a cognition assessment using the Cogstate Brief Battery (CBB). Consisting of four computerized tests, the CBB measures psychomotor function, visual attention, visual recognition learning and working memory. Two composite scores, attention/psychomotor and learning/working memory were computed from the tests. All three hypotheses were supported by the research results. The CDR 0.5 Aβ+ group showed both a significantly large deficit in learning and working memory over the six years as well as faster rate of decline over the CDR 0.0 Aβ- group. In line with these results was the finding that HV declined in the Aβ+ group but not the Aβ- group. Being able to detect these early cognitive changes in older adults provides primary care providers with additional diagnostic tools.